I’m a great believer, as my colleagues are, in both justice and truth. But dealing with the past is both debilitating and toxic to confidence in today’s police service. It is time to deal with the past in a different way, which does not ignore it, but moves it to one side and puts leadership, investigation and resolution in different, independent hands. Well, there’s an easy way to live up to those words Matt. Cancel the new subpoena apparently being prepared to serve on Boston College for the remainder of the archive. Unless of course the real authority in the PSNI lies elsewhere, in MI5 headquarters for instance and you are powerless to stop them? If Baggott believes in truth and justice he could indicate his belief by handing over the information requested by the Ombudsman. If his police service had not been up to their necks in collusion and criminality they would not find dealing with the past to be so debilitating and toxic. But by deliberately obstructing the pursuit of justice the situation will become even more so. 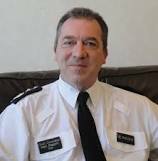 In Northern Ireland we have learned to beware those who boast about how religious they are – and the soon-to-be ex-Chief Constable has certainly reinforced that belief. So Matt Baggott, goodbye and good riddance, you had the chance to do some good and you blew it! ‘Independent hands?’ Perhaps Baggot’s now receiving his ‘divine’ guidance via Mr Tony Blair?